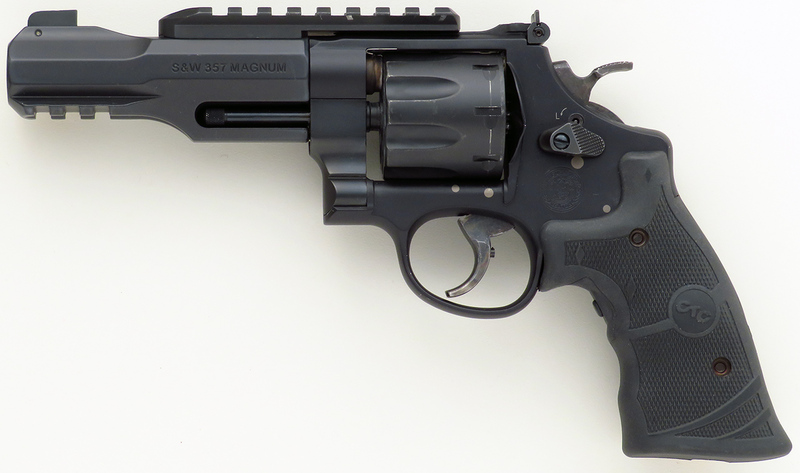 Smith & Wesson Performance Center Model 327 R8 .357 Magnum, eight-round cylinder, Crimson Trace Lasergrips, rails, collection of Roy Huntington - Sportsman's Legacy, Fine firearms, related books and sporting collectibles. Representing estates, collectors and nonprofit conservation organizations. 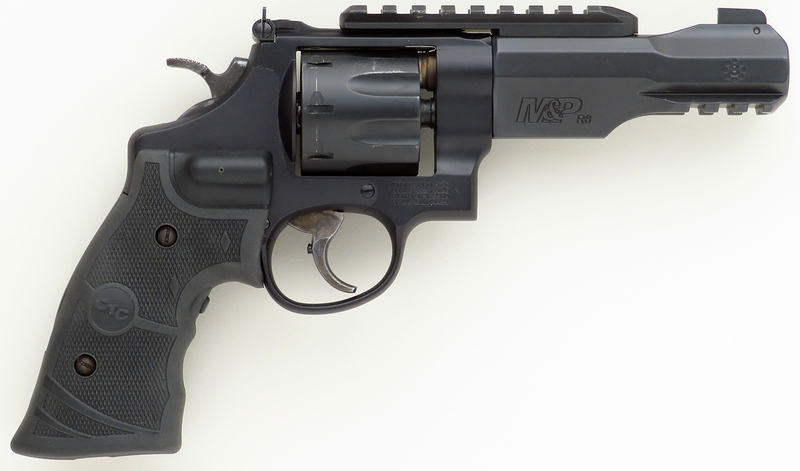 Smith & Wesson Performance Center Model 327 M&P R8 .357 Magnum. 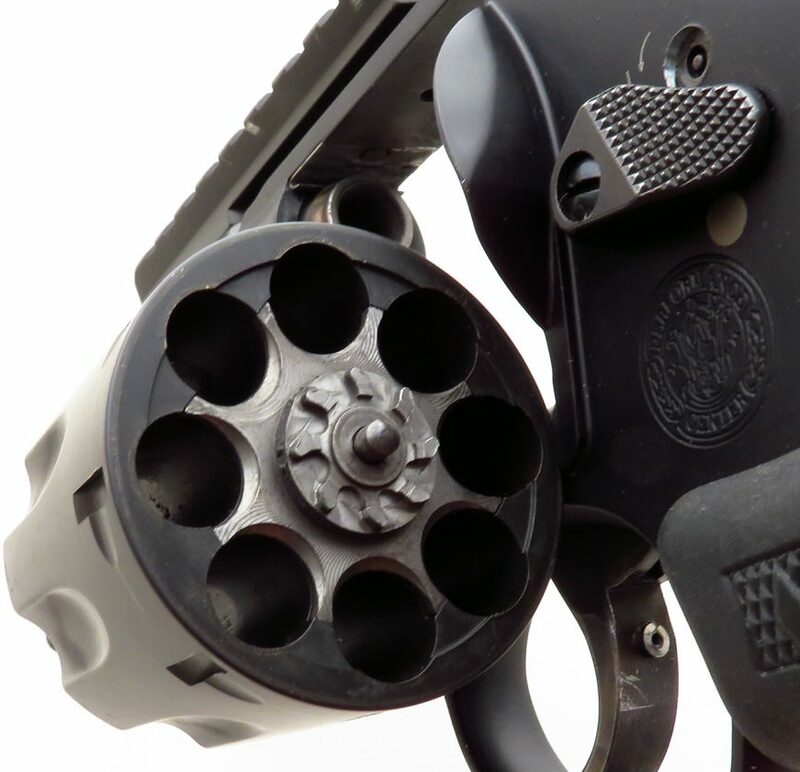 From the collection of Roy Huntington, serial XPM0715 wears a five-inch barrel. 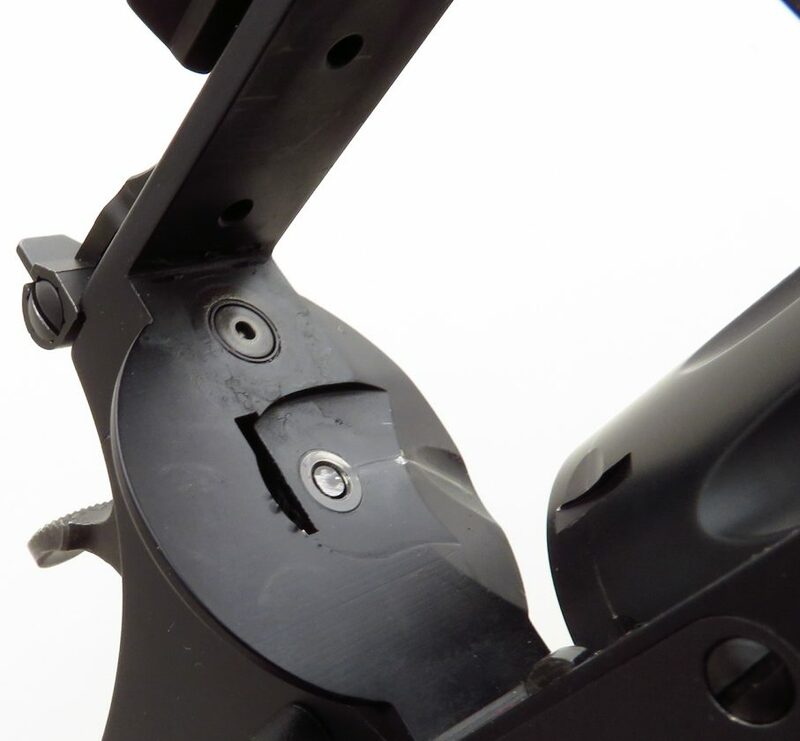 The barrel shroud has an integral front sight ramp (topped with a white dot blade) and accessory rail. 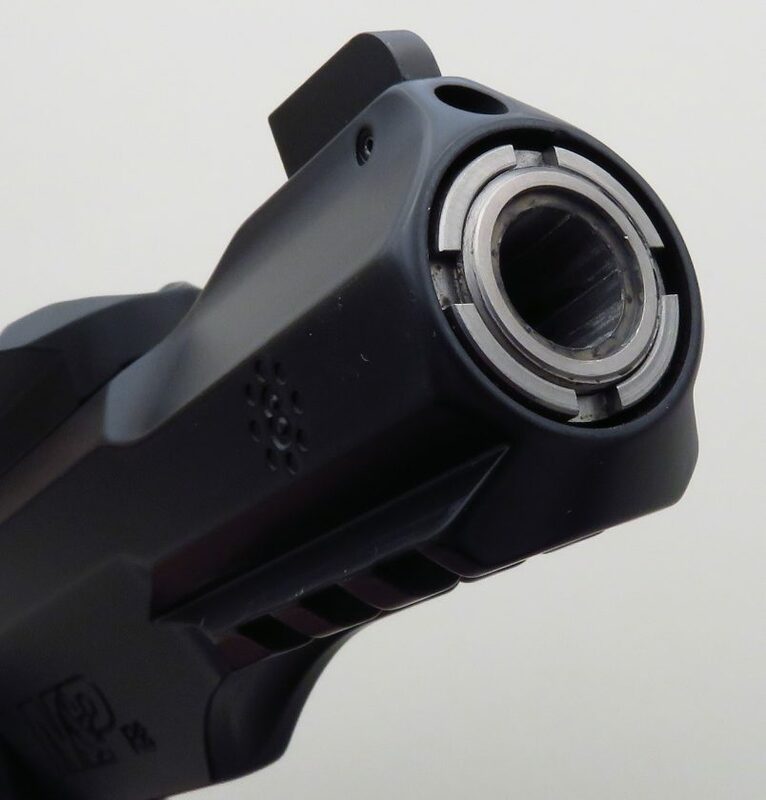 Additional features include a removable top rail, adjustable rear sight, eight-round cylinder, smooth trigger shoe and factory-added Crimson Trace Lasergrips (red). 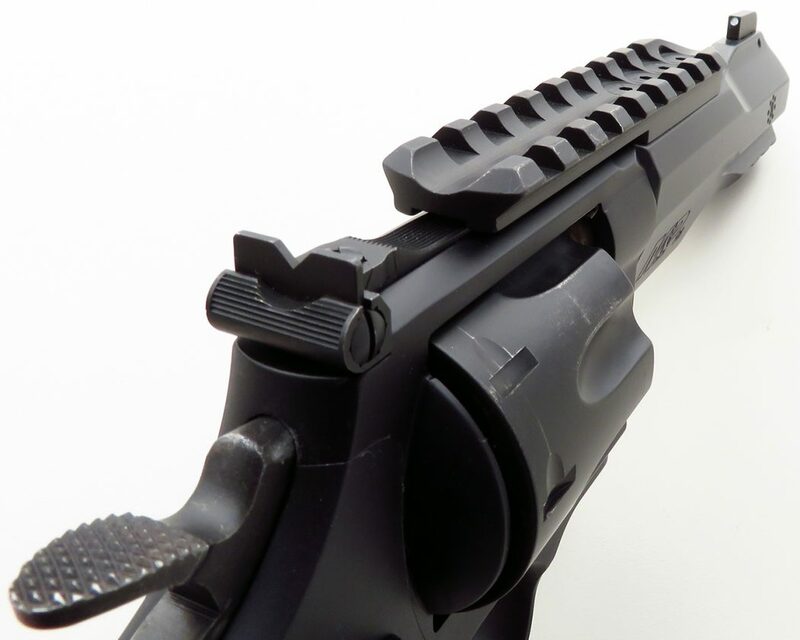 CONDITION: The bore and rifling are strong. Metal finish is approximately 95 percent, with a few minor nicks and rubs mostly confined to the cylinder. No box or papers. 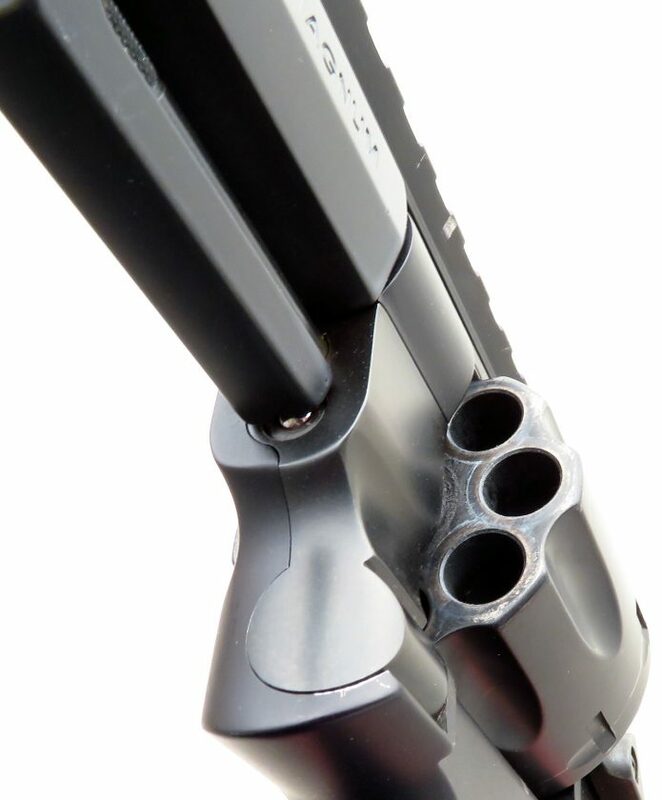 This pistol was used in an article in American Handgunner Magazine (copy not included). ROY HUNTINGTON has served as editor of American Handgunner Magazine for almost twenty years. A life-long handgunner and firearms collector, his passion for all things handgun are vividly reflected on the pages of every issue. His keen interest in gunsmithing has lead him to acquire many interesting and even iconic handguns. As retirement approaches, Roy has begun to “thin the herd”, thereby assuring his special firearms will find a new custodian. Upon request, Mr. Huntington will prepare a personally-addressed history letter to the purchaser. No box or papers. The price is firm and layaway is available. $1,100 plus shipping.